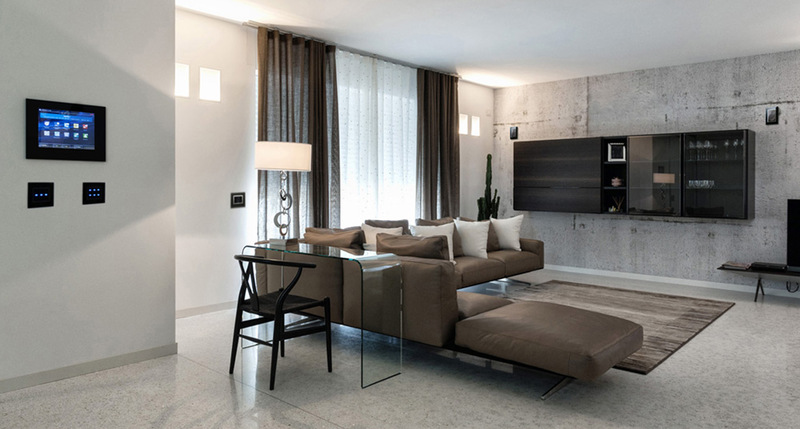 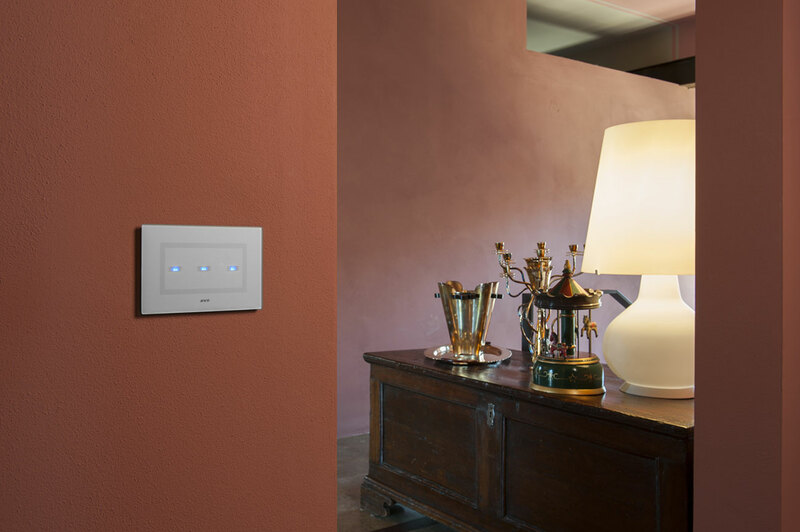 In this flat of Villafranca, in the Italian province of Verona, AVE home automation defines a new contact with the house. 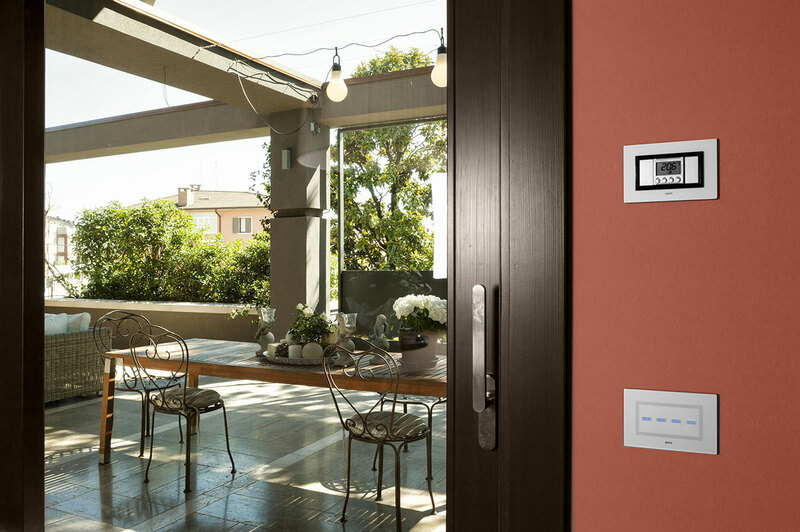 In fact, the DOMINA plus system intervenes to make the spaces more liveable with different solutions designed to improve life’s quality. 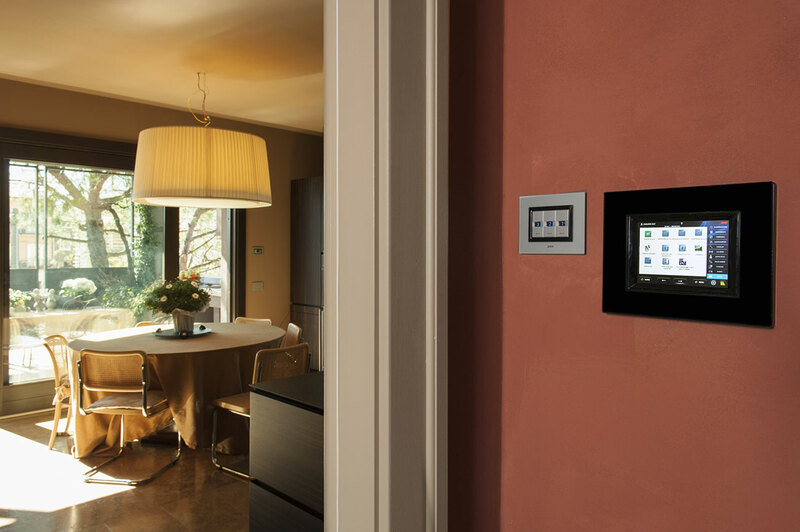 Easily recalled by the 5.7″ Touch Screen – interactive control centre of the entire flat – the DOMINA plus functions allow to easily manage different automations such as the control of the gates and the motorized blinds, but not only. 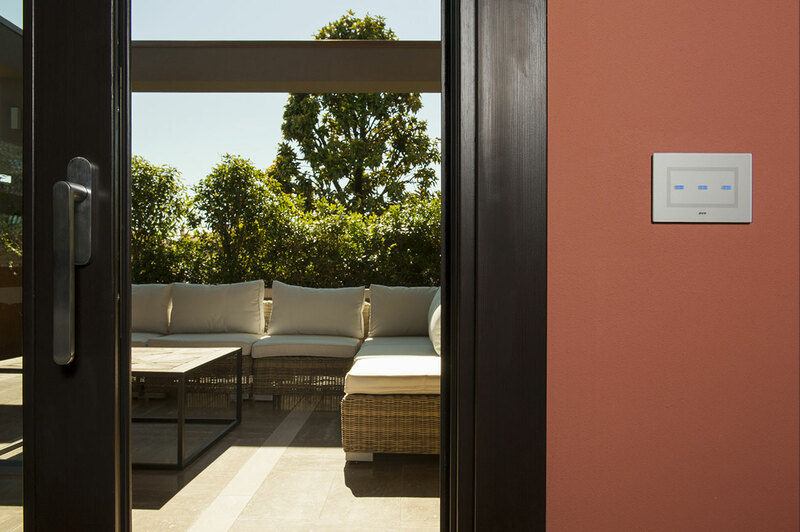 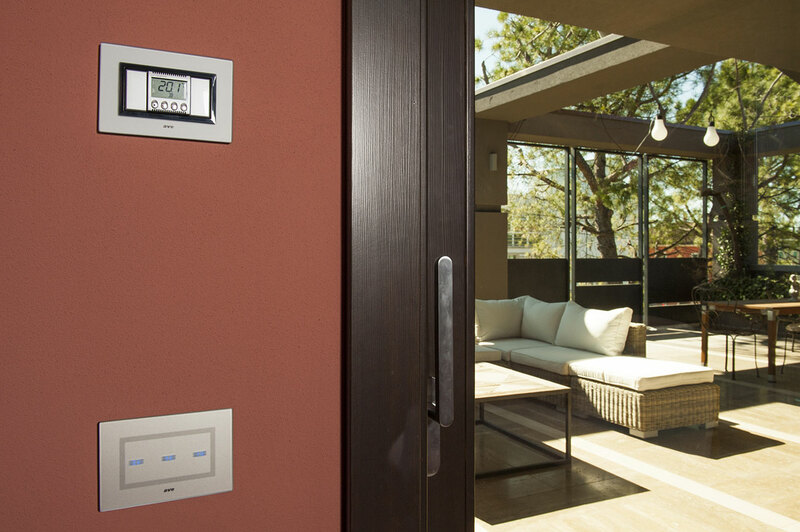 Thanks to AVE home automation you can control the lights of the entire house, manage the temperature from the touch screen (or through the thermostats), the burglar alarm and various custom Scenarios to recall multiple actions with a single command. 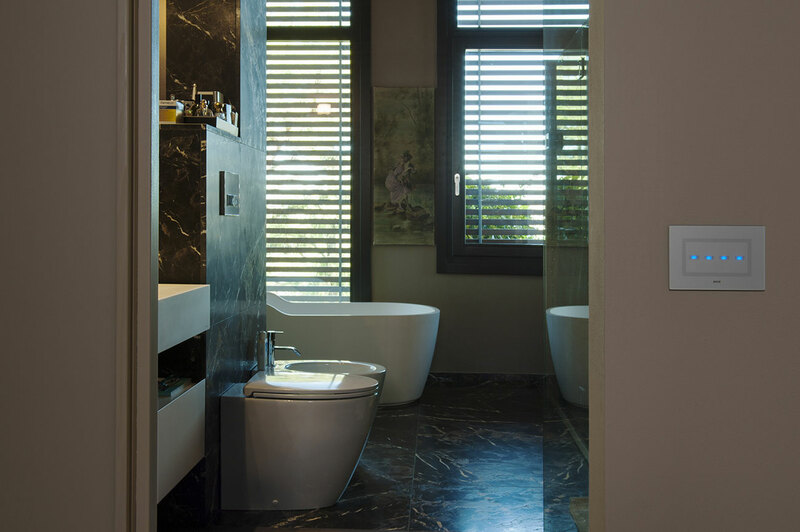 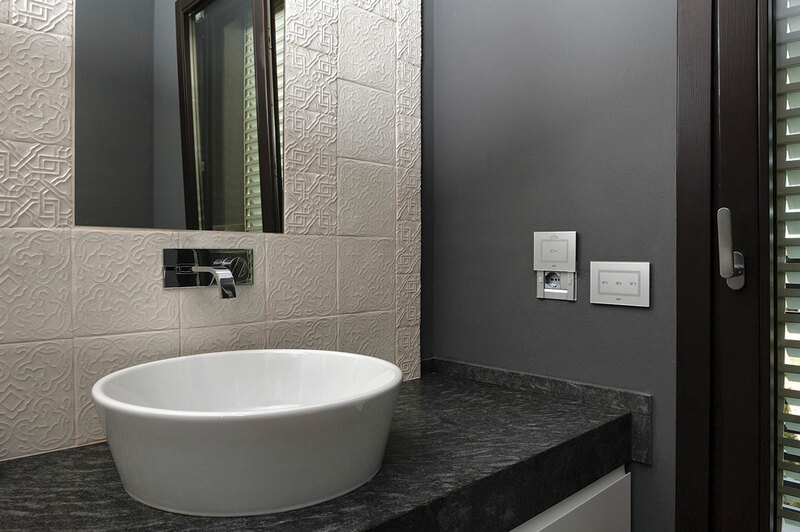 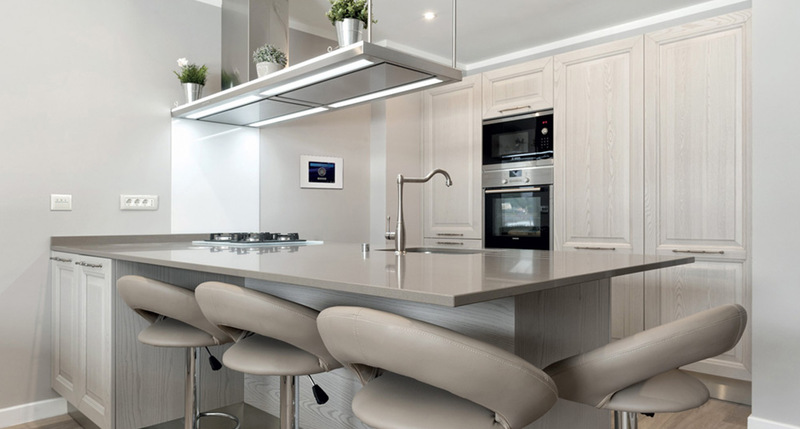 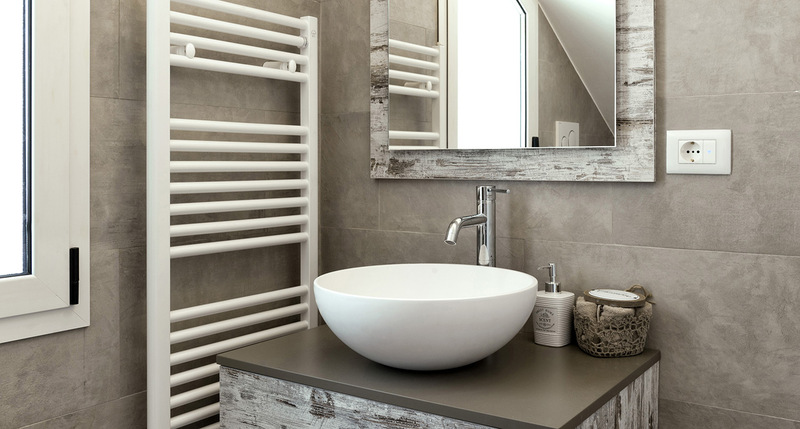 The Villafranca flat also exhibits innovative touch control solutions. 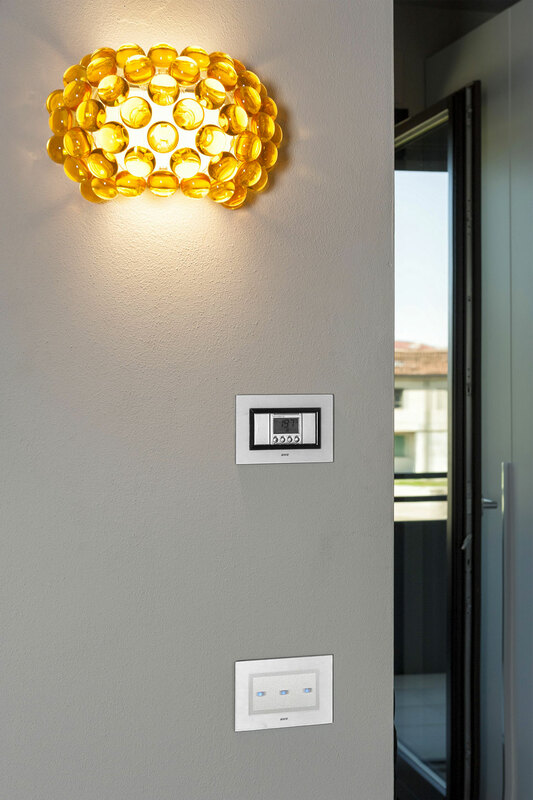 The AVE Vera Touch glass front plates give an informal contact with the switch, integrating into the home as precious elements of furniture.